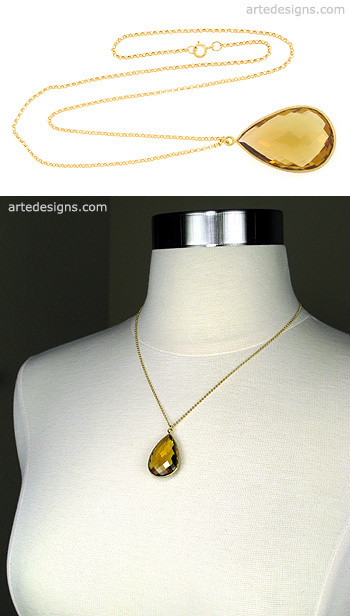 This faceted beer quartz gem is bezel set in vermeil (14K gold over sterling silver). A very sparkly and elegant necklace that will never go out of style. Pendant is approximately 1.25 inches long. 18 inch gold filled chain with a spring ring clasp.